I don’t know about you, but I work best when I have a deadline. A real—even if self-imposed—one. For example, I produce a monthly newsletter (sign up at http://janetlevineconsulting.com) and I am pretty rigorous about getting it out the week of the 15th of each month. Except in August, when I for some unknown reason, tell myself “it’s okay if you don’t make deadline.” And guess what? Most August’s do not see a newsletter from Janet Levine Consulting. Recognizing that, I often spend Saturday or Sunday (well, not all of it!) going through my calendar and putting down deadlines for various projects. Because my workload changes frequently, it really is as close to an overall work plan that I can do. And, funny thing, it has kept me from missing deadlines for years. So I am often confused as to why my clients resist creating plans and calendaring those plans. work—I know they do—and they are painless ways to be more productive. So humor me. If you don’t have a written development plan, consider creating one. In my practice, I start by doing a capacity study. That is, I talk with staff, board, stakeholders and evaluate your organizational ability to raise funds now. You can do your own mini-capacity study by considering the assets and resources at hand. Aspirations: What your organization aims to be. Strategies: What are the ways your organization is going about reaching its aspirations in program, administration, and of course, funding. Does your organization have the skills in place to accomplish the strategies? This is the most critical of the areas and covers everything from planning to building relationships, raising and earning revenue. This also looks at how well are you measuring what you are doing, as well as how you are getting the word out to your communities about who you are and what you do. Without having these structures in place, you will not have a high level of capacity. Critically, you must also have the human resources—both staff and volunteer—to do the work. Human resources are important, but so are systems and infrastructure so that your human resources have the tools to do the work . Organization structure will impact success. If the organization does not have clarity about who does what and who has responsibility, the truth is that either no one will do it or feel responsible, or the person that does may not be the right person. Finally, what is the culture of your organization and, most importantly, do you have shared beliefs, values and a common set of practices? Consider these areas for your organization. Where do you feel that things go smoothly and you feel confident that the organization (and your area) has what it needs to be successful? Where does the organization need to improve? If you are not the Executive Director, you may not be able to impact all of your organization’s capacity. 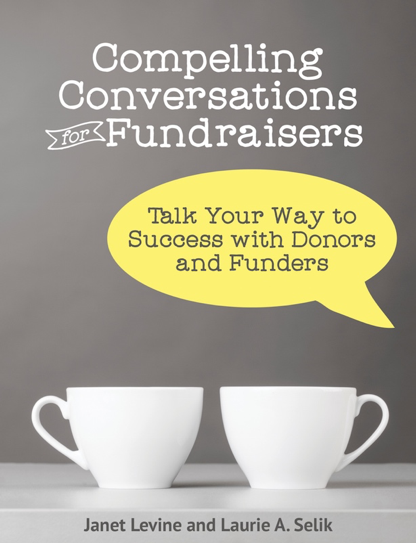 You can, however, make fundraising more efficient and effective. Write down the strengths your organization provides to your fundraising abilities as well as its weaknesses. For example, an exemplary mission is a plus. A lack of organizational structure could impede you greatly. Lack of fundraising staff can limit what you can do, but a great board can go a long way to mitigating that problem. Conversely, great staff can minimize an ineffective board and could—with careful planning—even turn that board around. Knowing the resources you have at hand is the first important step in building a viable, sustainable, and very successful fund development program. Stay with me, and in future posts we will talk about the rest of the steps in creating a useful fundraising plan. Janet Levine works with nonprofits and educational organizations, helping them to increase their fundraising capacity. She is passionate in her belief that solid planning will lead to raising more money. That, in turn, will lead to more successful organizations. Learn more at http://janetlevineconsulting.com. While there, do sign up for the newsletter. This entry was posted in capacity, fundraising, planning and tagged aspirations, capacity study, culture, fundraising plan, human resources, organizational ability, organizational structures. Bookmark the permalink.